Last week was arguably a sad one for most if not all Nigerians as the government’s credibility was assaulted on two fronts simultaneously – security wise and diplomatically. The first was a series of controversial statements credited to the former Nigerian President Olusegun Obasanjo on the state of the nation and the second which eclipsed the latter, was the despicable terrorist bomb attack on the Nigerian Police Force Headquarters allegedly by the radical Boko Haram sect. Any Nigerian should be reasonably saddened and even infuriated by former President Obasanjo’s antics at various international fora and would be questioning why, he keeps being involved (or involving himself) at such gatherings knowing his antecedents, and thereby further rubbishing the already soiled image of Nigeria. Obasanjo is notorious for his controversial, sometimes comically, crude remarks that perplex his audience to the point of irritation and on rare occasions provokes a sense of bewildered amusement. This peculiar “talent” of his appears to be particularly amplified whenever he is addressing a large gathering of important personalities within the country or mainly abroad. It is in this mould that his recent comments, last week at the 100th Session of the International Labour Conference in Geneva Switzerland that he would be one of the prime targets of rampaging, unemployed youth in the event of a revolution, and that the current administration lacks the “…will… and consistency” to fight corruption because corrupt people are “strongly entrenched” in the system, expectedly elicited varying responses from Nigerians. The latter statement in particular would have been the subject of a much wider debate if it hadn’t been overshadowed by the bomb attack on Police Headquarters. Sure Obasanjo true to his boisterous and cunning self is no stranger to such contentious remarks whether at home or abroad. In fact in May 2010 at the Leon H. Sullivan Dialogue at the National Press Center, Washington DC, Obasanjo reportedly stated that even Jesus Christ cannot conduct acceptable elections in Nigeria. Some people found it amusing, others dismissed it as “Baba” acting in his characteristic attention-seeking manner, others yet found it embarrassing while many were disgusted at such blasphemous remark coming from a self-acclaimed “born-again” Christian. This is just part of his personality which at times seems crudely witty and humorous but increasingly these days becoming irksome, shocking, embarrassing and extremely infuriating due to the obvious dubiousness, duplicity, mistruths and outright manipulation of history underlining those statements. The statement that he would be one of the prime targets in the event of a revolution is true to the letter given his increasing unpopularity from the twilight of his regime onwards due to his failed attempt at tenure elongation; his witch-hunting of political opponents using the anti-corruption agency EFCC; the lack of transparency and accountability in the management of oil revenues from unprecedented oil windfalls as he personally oversaw the Petroleum Ministry; institution of garrison and “do-or-die” politics and by implication his gross disdain for the rule of law evidenced by his complicity in the Anambra Ngige saga and most importantly, further impoverishment of millions of Nigerians despite huge amounts of money spent on poverty eradication programs like National Poverty Eradication Program (NAPEP), it is no surprise then that many are of the opinion that Obasanjo is allegedly the most unpopular and infamous politician in the country. The remark is nevertheless worrying as it is an implicit acknowledgement of the failure of his administration given the tremendous resources and opportunities at its disposal to take Nigeria to greater heights. In other climes, the media would have torn him to shreds for that remark. As regards to the more controversial, scathing but dubious remark on the inability of the present administration to tackle corruption because corrupt people are “entrenched” in the system, one cannot but feel a sense of irritation, embarrassment and anger. The irritation and embarrassment stem from the realization that no former-leader of a nation aiming to be among the world’s top 20 economies, and to join the realm of emerging powers would go off to foreign lands, bad-mouthing his successors which he was very much instrumental in their emergence. I doubt if former US President George Bush would at any international event, say despicable things about the Obama administration, despite their being in different political parties or even coming closer home, former Ghanaian President John Kuffour bad-mouthing his successor President John Atta Mills. The anger comes from the obvious duplicity, deception and brazen faux self-righteousness underlining such an explosive statement which is highly indicative of an increasingly erratic person, trying vainly to absolve himself of his role in the sorry state of affairs in Nigeria. Passing such a damning verdict on the administration of President Goodluck Jonathan and that of his predecessor late President Umaru Yar’Adua insults the collective sensibilities of Nigerians because no one can forget in a hurry how Yar’Adua was single-handedly imposed on Nigerians by Obasanjo via the 2007 elections adjudged by both local and international observers as the worst in the nation’s history. Or even the very prominent role played by Obasanjo in the emergence of Jonathan as the ruling PDP’s presidential candidate and his subsequent victory at the April 2011 presidential polls. It is an open secret that Obasanjo is the President’s unofficial chief adviser or in Nigerian parlance, his “godfather” for wherever you see the unassuming and pleasant face of Goodluck Jonathan, you are certain to see Obasanjo’s dark, ominous and amorphous silhouette lurking in the shadows. If Jonathan and late Yar’Adua’s administrations were and are incapable of fighting corruption as Obasanjo claims, can it be deduced then that it is Obasanjo’s fault because he was instrumental in their emergence? If as Obasanjo claims, the reason for this is because corrupt people are entrenched in the system, then is he tacitly admitting that he is one of those “entrenched” in the system given his prominent role in government and in the emergence of his successors? In saner climes, such statement would have warranted a rebuttal by the government, distancing itself from Obasanjo to signify its displeasure over such comments that obviously undermine it in no small measure. The most infuriating aspect of all this by far is the fact that Obasanjo these days chooses to express his erratic and unstable behaviour in influential international fora. If this were done at home in Nigeria, it wouldn’t be so painful but this happening abroad is very embarrassing, further denting the already battered image of Nigeria, subjecting Nigerians to ridicule which is completely unacceptable. Infact my Facebook status update on this issue last week was so strongly worded that I had to delete it entirely because I felt it was un-African and inappropriate to refer to an “elder” and former President in that way (despite such an elder disrespecting himself) as words like “delusional” and “schizophrenic” featured prominently. It is particularly exasperating that of all the intellectual heavy weights with impressive records of achievements in office which Nigeria has to offer, who can ably represent a new face and new generation of enlightened Nigerians in international fora such as Donald Duke, Babatunde Fashola, Nuhu Ribadu or Nasir El-Rufai – their various shortcomings notwithstanding – it is Obasanjo rather that chooses to show-up at these events humiliating Nigerians. I understand that most international donors and bodies are increasingly adopting a new approach of involving African (former) leaders, policy makers or influential individuals in high-level development policy talks because of their clout, the respect they command and ability to influence the decisions of policy makers in their respective countries. While this is commendable and all part of a relatively new international focus of development as a political process that requires engagement with the political elite, supported by recent UK Department For International Development (DFID) research amongst others, it is simply unfair and unacceptable that former leaders with dismal records who rather than command respect are greeted with opprobrium in their home countries are the ones involved. This was a sore issue that was brought up in an Africa Gathering and Guardian Global Development joint Conference on Monday 20th June where one of the attendees, a young African passionately argued against engaging political leaders who are unpopular, infamous, lack any credibility among the youth and are therefore incapable of contributing anything meaningful to the progress of their respective countries. His argument was in response to the composition of an Africa Progress Panel which includes Obasanjo chaired by former UN Secretary General Kofi Annan with the objective “to track and encourage progress in Africa, and to underscore shared responsibility between African leaders and their international partners for sustaining it”. I believe most Nigerian youth and indeed African youth would prefer if people like Obasanjo who had all the opportunity, time and resources to make a fundamental difference in the lives of their citizens and the destinies of their countries, but didn’t, kept their highly duplicitous, half-hearted and unsolicited opinions to themselves and stop subjecting us the younger generation who will live with their mistakes and mal-decisions to international ridicule and embarrassment. For if Obasanjo truly cared about Nigeria, he would be giving constructive advice to the government of which he is an influential actor, rather than turning around and backstabbing it abroad. As for the international community, the youth fervently hope it would make greater efforts in engaging influential, respectable and enlightened Africans who can actually make a difference in our lives. my problem here is what are the criteria use in choosing poeple to make presentation in such an event? It depends on the type of event and the organization(s). Some of them are high level conferences/Talks which involve top policy makers, former heads of states etc and the organizations invite the people themselves due to their influence, resources, clout etc. 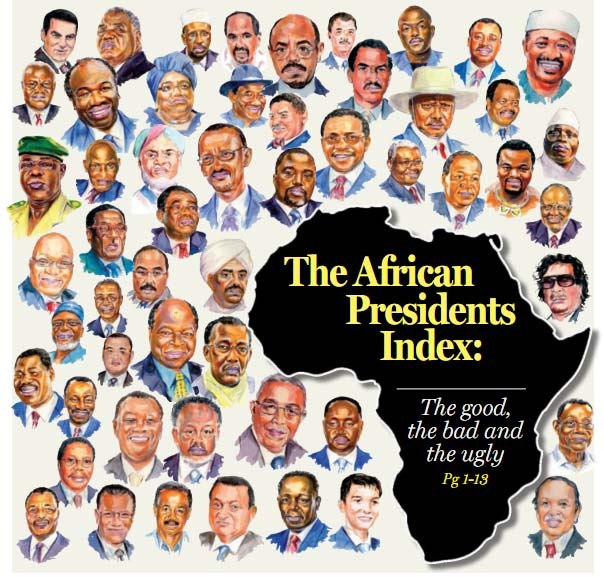 Like this Africa Progress Panel I made reference to comprise people like Kofi Annan, Mohammed Yunus (though not a former head of state, however is a Nobel Prize winner), former US Treasury Secretary Robert Rubin etc, such heavy weights are paired with other heavy weights such as Obasanjo. To be fair to some of these organizations, they are keen to involve former leaders from Nigeria and other influential Sub-Saharan African countries but the problem is that there aren’t that many civillian ex-leaders to involve in such organizations that advocate and promote democratic governance, so they are left with no options but to include people like Obasanjo. And sometimes, it is the people that make requests to be included in certain programmes or projects or even to present papers. Zaynab, your indignation is understood. However I am not surprised, what we are experiencing is a consequence among many terrible that would attend the rise of a southern-christian elite. If you have studied as ihave analyzed the comments of southern public ( I am a psychiatrist), you would agree that the southern-christian elites do not have the breeding for leadership in a complex grouping like nigeria. The southern-christian elites if left unchecked would commit the same atrocities as we saw committed in liberia, sierraleon or even Ruwanda. This is a sharp contrast to what we have today 7 heads of state alive hail and hearty, not in jail. The rise of a militant southern-christian elite will surely undo this country. Thanks for your comment. But I have to say I disagree with you that “southern-christian elites do not have the breeding for leadership” for I very much doubt it leadership skills are distributed according to region or ethno-linguistic affiliation. Elites all over Nigeria have done terrible things, actively contributing to the impoverishment of the common-man. Some Northern-Muslim elite while in the position of power and authority have are known to have done next to nothing to contribute to the well-being and progress of their immediate communities, rather misappropriating and squandering funds for themselves and their immediate families. Infact this is one of the factors that led to the rise of Boko Haram – idle, poor, disenchanted youth who are being oppressed by the elite in their communities, flarantly displaying ill-gotten and obscene wealth whilst the youth languish in poverty; so they decided to renounce everything “modern” or “western” because this is associated with the elite oppressing them. When we look at records of achievements of state governors, a number of the ones that did something meaningful in their respective states are mostly from the South – Fashola and to a lesser extent Peter Obi (as I have heard) and Adams Oshiomole. Though people like Ahmad Makarfi and Adamu Mu’azu also have achievements in Kaduna and Bauchi states respectively. The basic thing is there are good and bad people everywhere – in the South, North, East or West. Great musings as usual Zainab. In evaluating the African Political Economy in my undergraduate research, I focused on Nigeria and Cameroon. The one conclusion I drew after a careful analysis of the Obasanjo administration was this “There is therefore the uncomfortable admission of the fact that the lives and properties of Nigerians were more secure under General Sani Abacha than they were under the so-called democratic regime of Obasanjo. Unemployment and attendant hopelessness rose, the standards of education fell, there was a marked increase in the number of destitute and beggars on the streets. The skyrocketing of the prices of petroleum products, with an increment made on the eve of Obasanjo’s departure form office, shows the level of decay the country had been plunged into… Worse still, it was under this regime which claimed to be able to sweep away corruption that Nigeria bagged the highest award in corruption, coming first in the world.” It is strang that he now has the guts to accuse another of lacking the will to fight corruption… I guess he meant another type of corruption different from what you and I know. @Msj, you seem to be one person who will make worse statements than Obasanjo… as an learned psychiatrist, I will expect you to make level-headed observations rather than using phrases like “Southern-Christian” elite. Is Nigeria a religious state? Why don’t we focus on individuals and their characters and stop fuelling religious sentimentalism.